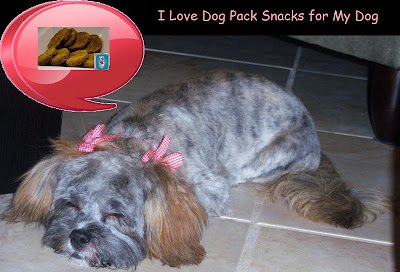 All Things Dog Blog All Things Dog Blog: Flush Puppies Winners Get a Dog Pack Snacks Bonus! My dad always said that "What goes in must come out." I guess there's sense in that and this promotional giveaway was intended to cover both ends. We took care of the in and the out! I have to admit you guys surprised me with your voluminous entries for this one. I had no idea we'd you would get THIS excited, but I'm not complaining. 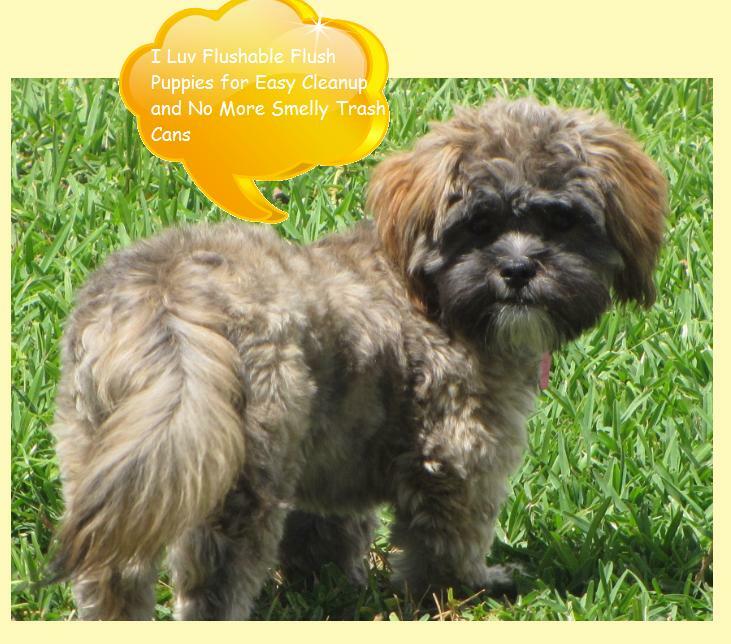 Neither are the folks at Flush Puppies or Dog Pack Snacks. If you didn't win today, be sure to drop in and order some for yourself. Tell them Tanner and Oliver sent you! Are you curious at just how excited you got about this giveaway? Here are the stats: During the 1-week entry period 395 of you visited the post announcing that the Sneaky Dog Pack Snacks had hidden out in the Flush Puppies giveaway. Did I tickle your funny bone with that title? Whatever it was, I was heartened to see it along with the 359 entries. Unfortunately I only have 6 prizes. Those prizes will be awarded to Katie M., Nathan, Rick W., Ashley C., Lily K, and Christina J. Watch for an email from AllThingsDogBlog@gmail.com. I'll just need your address. Tanner is busy guarding the Dog Pack Snacks. 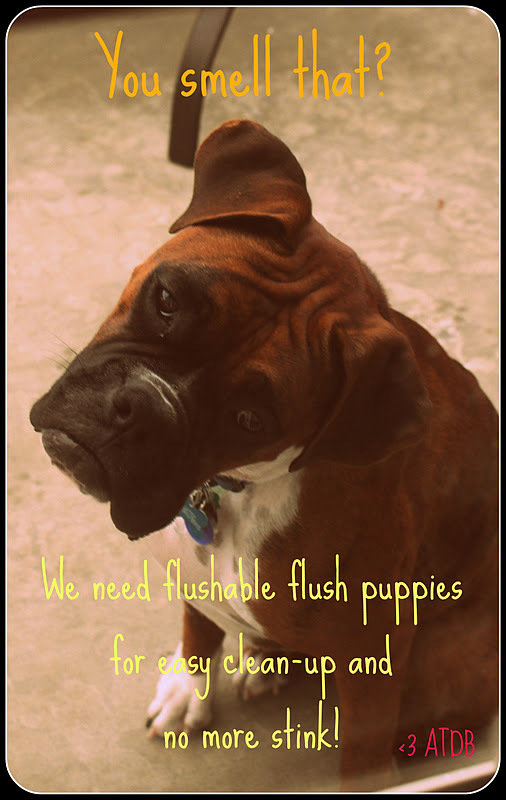 Better hurry and get your addresses in before he loses control and need to use the Flush Puppies! This giveaway was provided as a promotional courtesy by Dog Pack Snacks and Flush Puppies. I was not paid to organize this giveaway and there was no purchase necessary to win. Congratulations to our winners.